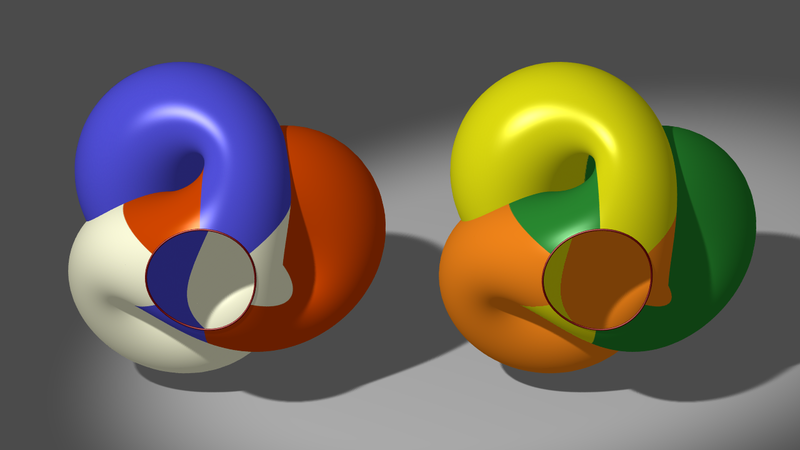 Visual proof that the connected sum of two real projective planes is a Klein bottle. 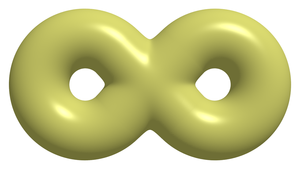 The real projective plane minus a disc is a Moebius strip. 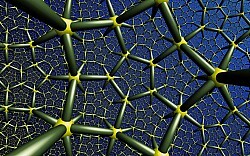 The construction of a Boy surface. 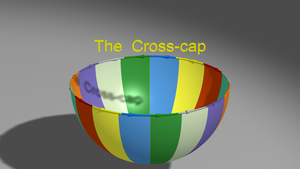 The construction of the cross-cap. 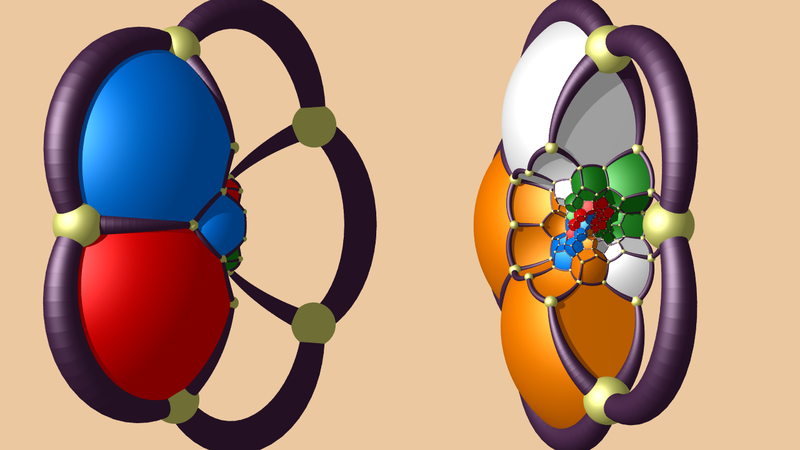 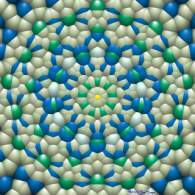 The transition from a hyperbolic 14-gon to a genus 3 surface, while preserving the tiling by 24 heptagons. 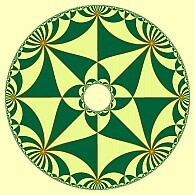 How this hyperbolic tiling can be folded into a genus 3 surface. 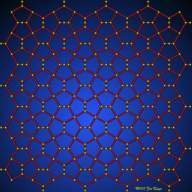 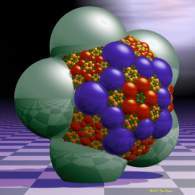 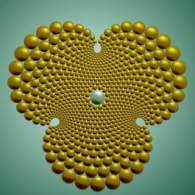 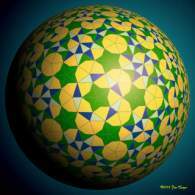 A polygon with 16 sides can be formed into a genus 4 surface, a surface with 4 holes. 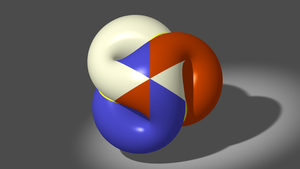 An octagon can be bent into a genus two surface (a surface with two holes) by joining the sides with the same colour.. 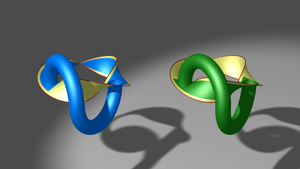 Linked Klein bottles. 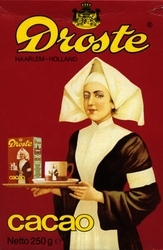 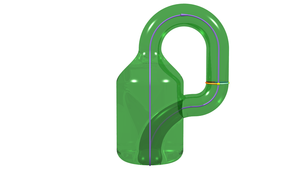 Note that the number of "bottles" needs to be uneven in order to have a non-orientable surface. 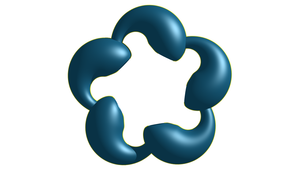 Construction of a Klein bottle by joining the edges of a rectangle. 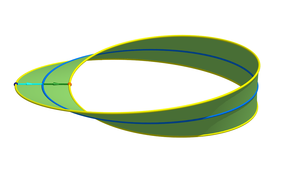 A flight over a Julia set. 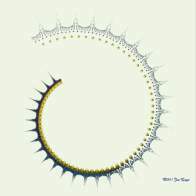 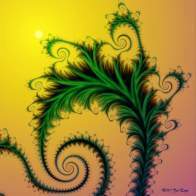 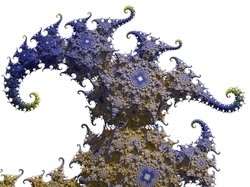 A spiraling flight towards a tiny area of the Mandelbrot set. 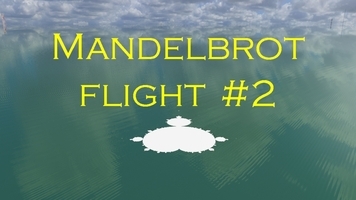 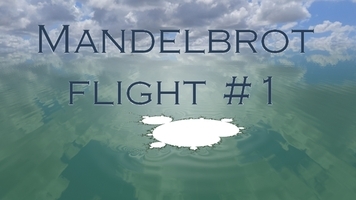 A flight over a tiny area of the Mandelbrot set. 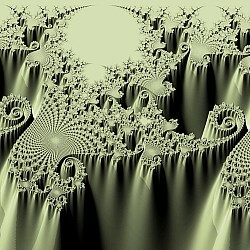 A flight over a 3D Newton fractal (equation z^4-1=0). 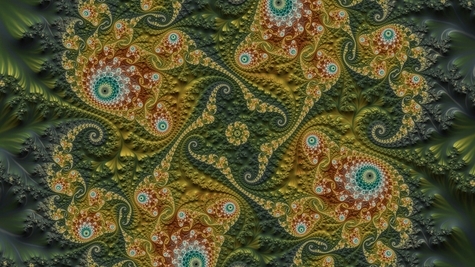 Experimental film, done entirely in Ultrafractal. 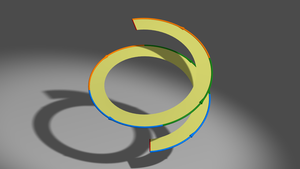 Using Catmull-Rom splines in Fragmentarium. 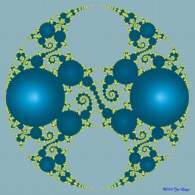 Iterated inversions in tangent circles create hyperbolic tilings. 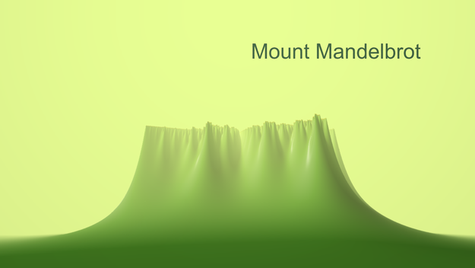 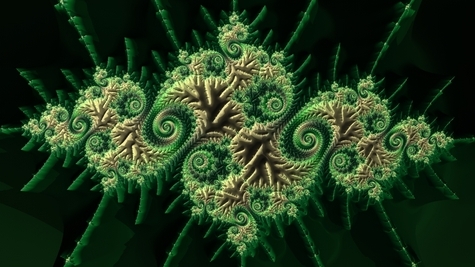 A zoom into a 3D Mandelbrot set. 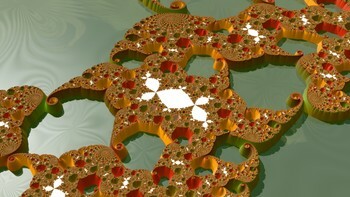 A flight over a 3D Julia set. 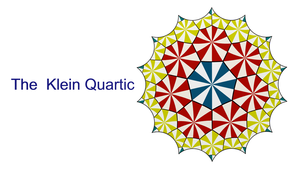 These limit sets of Kleinian groups were generated by three Moebius transformations with quaternion coefficients. 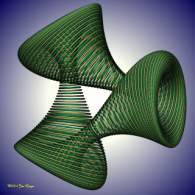 Two kinds of views of hyperbolic space. 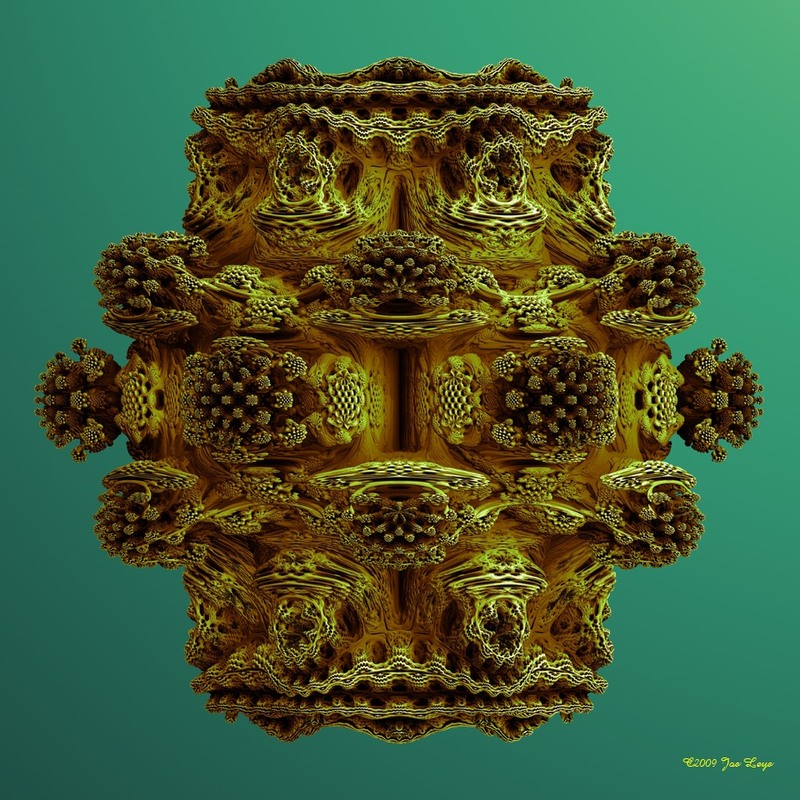 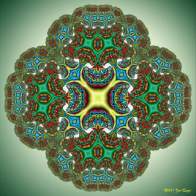 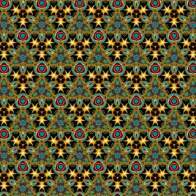 Pictures made with a kaleidoscopic method for drawing 4D polychora. 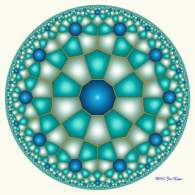 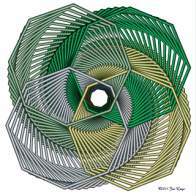 Transformations of tilings in the Poincaré disc. 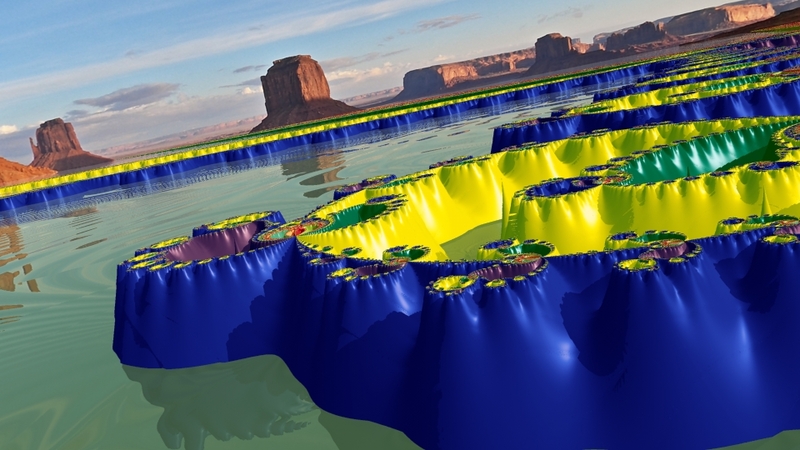 Un film sur la réfraction dans l'eau. 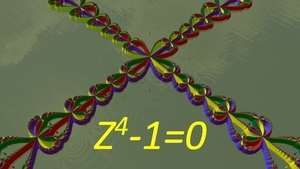 A film about refraction in water. 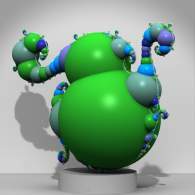 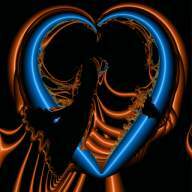 Ultrafractal and Povray working together. 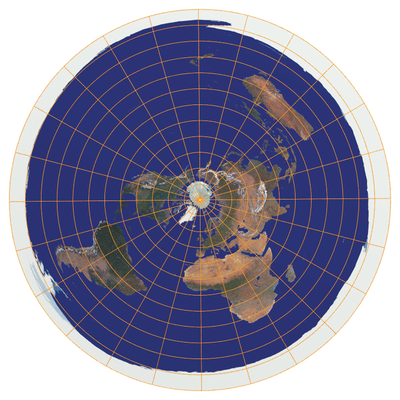 Could the Earth have been flat after all? 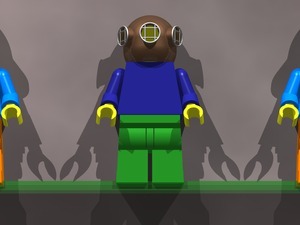 How about cigar shaped? 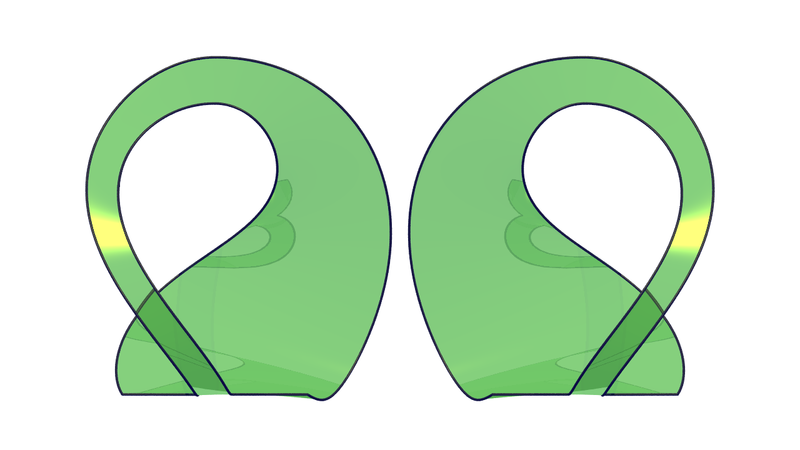 Or do you prefer pear shaped? 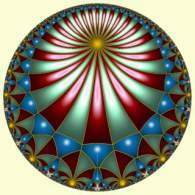 It seems it is all possible. 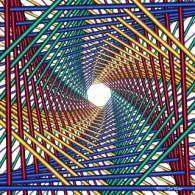 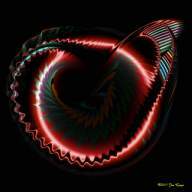 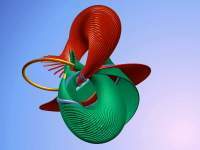 Just a question of enough spin..
A collection of animations where one can see what a matrix looks like in four dimensions, how to make spaghetti using a 'horocycle', and more.. .
A collection of diverse styles.. 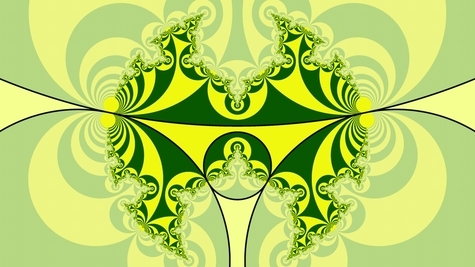 These patterns are obtained by a fractal tree type algorithm. Spheres 'grow' on a base sphere, and sprout further spheres of their own. 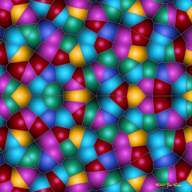 The different tree branches start to overlap and generate patterns. 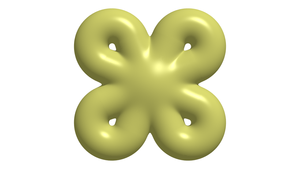 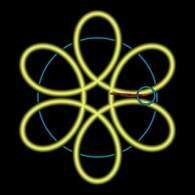 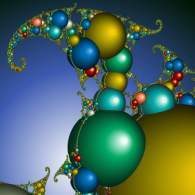 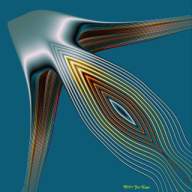 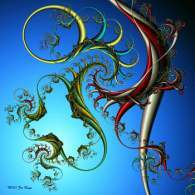 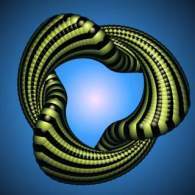 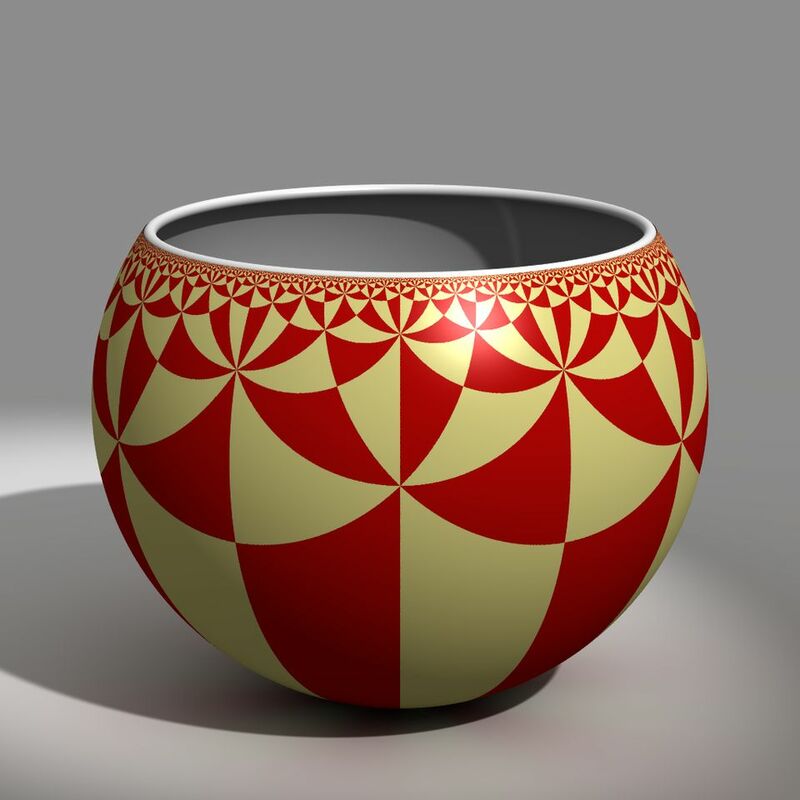 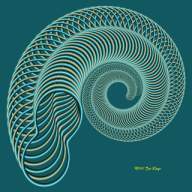 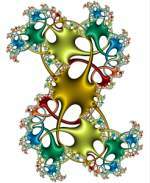 A collection of classic mathematical surfaces: from the trefoil knot to the Klein bottle. 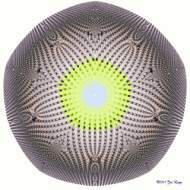 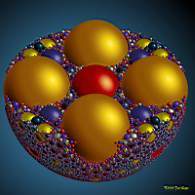 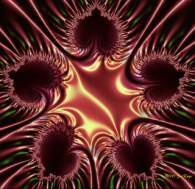 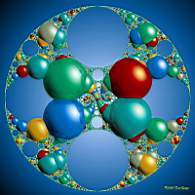 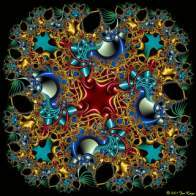 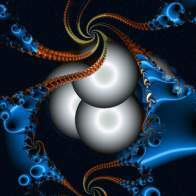 Kleinian groups in an aquatic environment.. 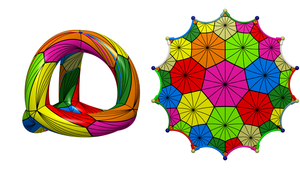 The first 3D views of the limit sets of Kleinian groups. 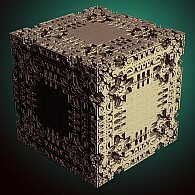 The same algorithm, but with some more bells and whistles.. 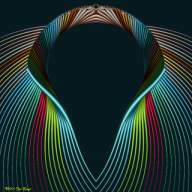 These images where made with the first version of my algorithm. 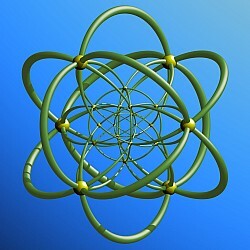 Ford circles and circle inversions. 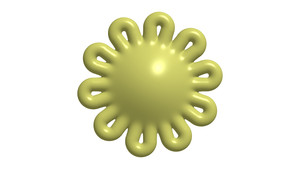 For more information on Ford circles, visit Wikiverse Ford circle page . 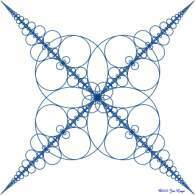 For more information on circle inversions, visit Wikiverse inversion page . 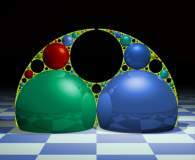 Penrose tilings, Voronoi diagrams and other things, stretched over a sphere. 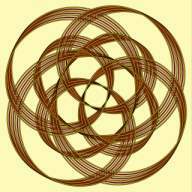 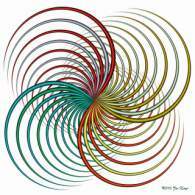 The Poincaré disc: the whole world compressed in a circle. 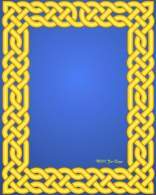 A collection of Celtic knot patterns. 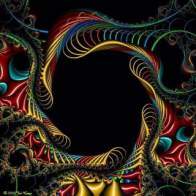 Deep in the crevices of Fractal valleys, there are tunnels. 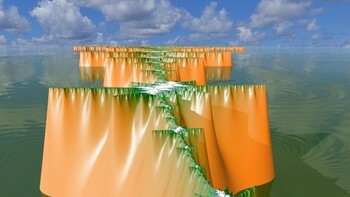 Where do they lead? 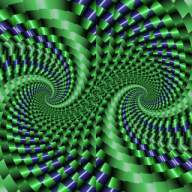 What lies beyond? 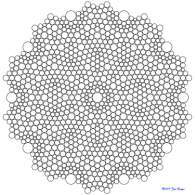 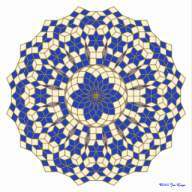 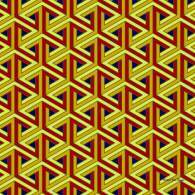 Not all images follow the 'classic' Penrose tiling rules. 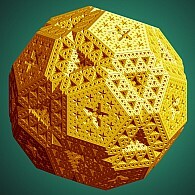 Some were constructed allowing rhombs with smaller angles. 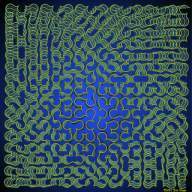 The Hilbert curve is a space-filling curve. 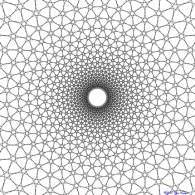 It will eventually fill the entire plane, without ever crossing itself. 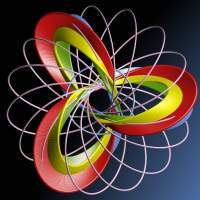 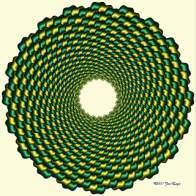 Clifford A.Pickover in his book "Keys to Infinity" has a chapter entitled "The loom of creation",in which he describes webs spun on a circular frame. 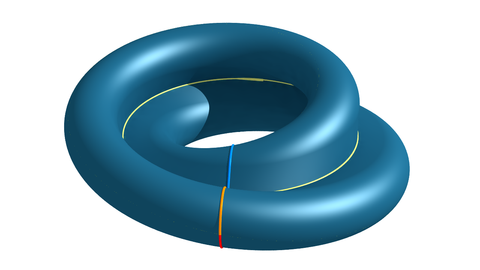 One end of the wires is tied at regular intervals, but the other end moves at a different pace.The images below are made along this principle. 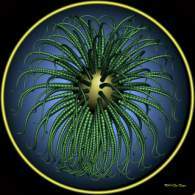 Volvox - actually a microscopic unicellular life form that lives in colonies. 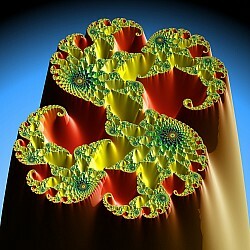 Complicated patterns from a fairly simple fractal formula.. 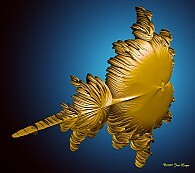 In all shapes, but just one size.. 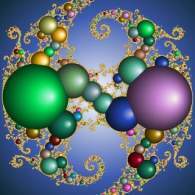 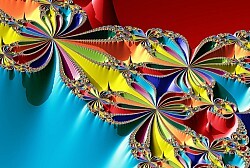 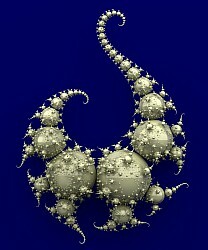 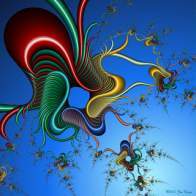 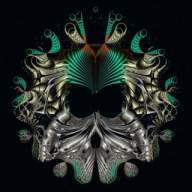 Objects that do not seem to belong here, and can only be seen through the mathematics of fractals. 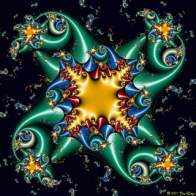 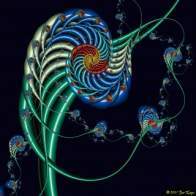 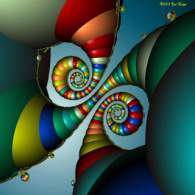 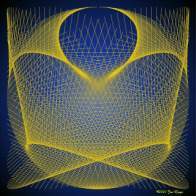 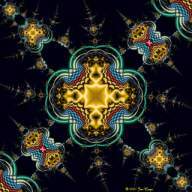 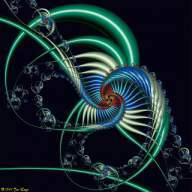 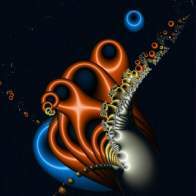 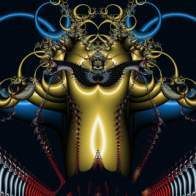 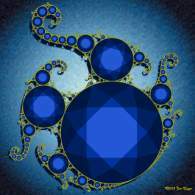 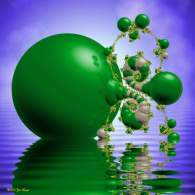 Shapes with strings and tubes..
Hexagonal symmetry of fractal shapes.. 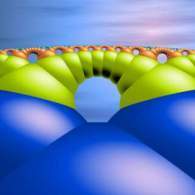 The Dragoncurve is the shape taken by a strip of paper that is folded many times. 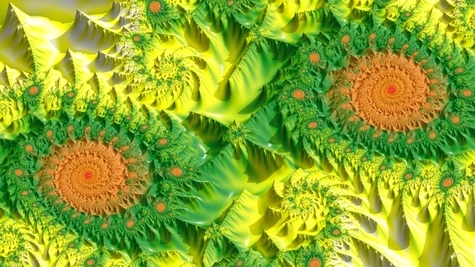 Further explorations of different trap type colorings..
More early work in Ultrafractal, using my own trap-type coloring algorithms.